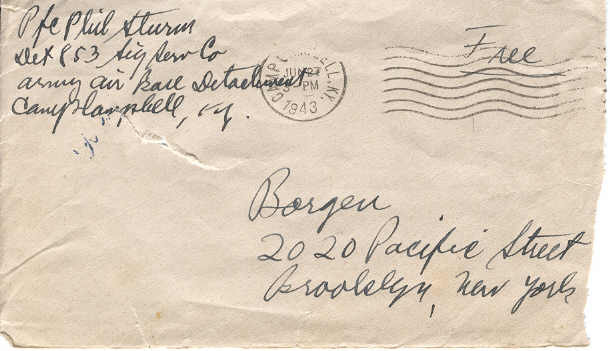 Soon after my father's passing, I found an envelope sent to dad by his first cousin, David Borgen, which contained a treasure trove of six letters dad wrote to his aunt and uncle, Matilda and Motra Borgen, while in Campbell Army Air Field in Kentucky. Dad was in the ranks of the millions of support troops who fought the enemy with typewriters instead of rifles and trucks instead of tanks. They efforts provided the front line troops the overwhelming stocks of food, fuel and ammunition that ensured our victory. In the case of communications operators like dad, their efforts facilitated the flow of command and control information throughout the world. 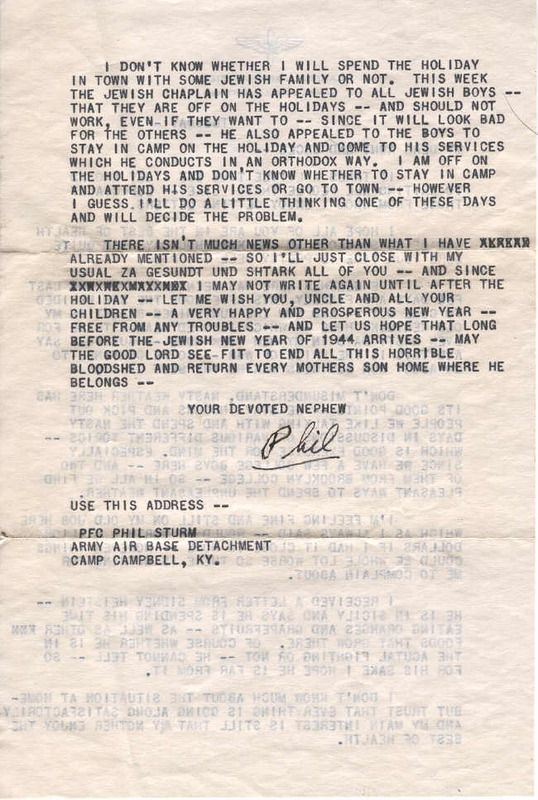 These letters present a clear picture of a Jewish draftee doing his job far from home and all things familiar. Interestingly, they closely parallel the feelings I harbored, while deployed to Saudi Arabia during the Persian Gulf War some 50 years later. Although undated, they appear to have been written in late summer through winter of 1943. One in particular, letter number three, is particularly poignant, containing a final message from another first cousin, Sidney Heistein who was Killed in Action on 18 Oct 1943, during the Jewish Holiday of Tabernacles. Note: [...] indicates deletions I made of passages that should remain private. Dad wrote some phrases in Yiddish that I translated and appear [in between brackets.] I've made some minor spelling and grammar changes to enhance clarity. 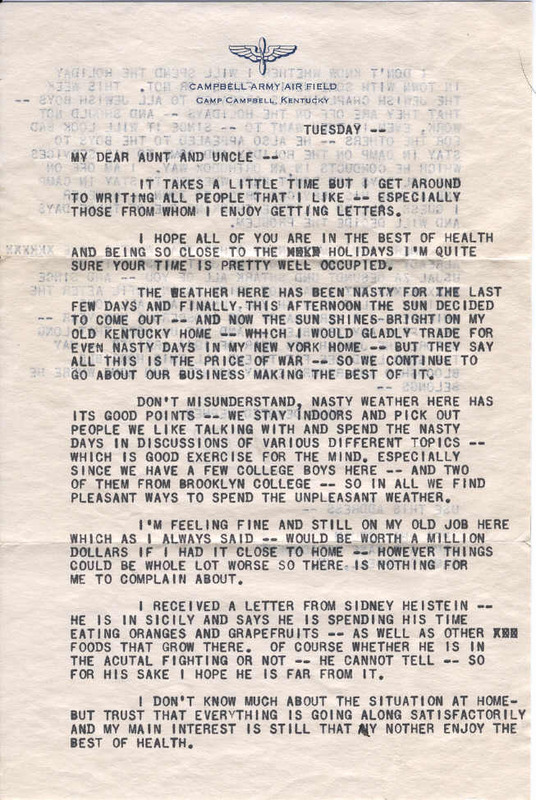 The letters are transcribed in upper case because they were typed on a specialized typewriter called a "Mill." The Mill was used in Military and Shipboard radio stations to transcribe Morse radiotelegraph transmissions and had only upper case.